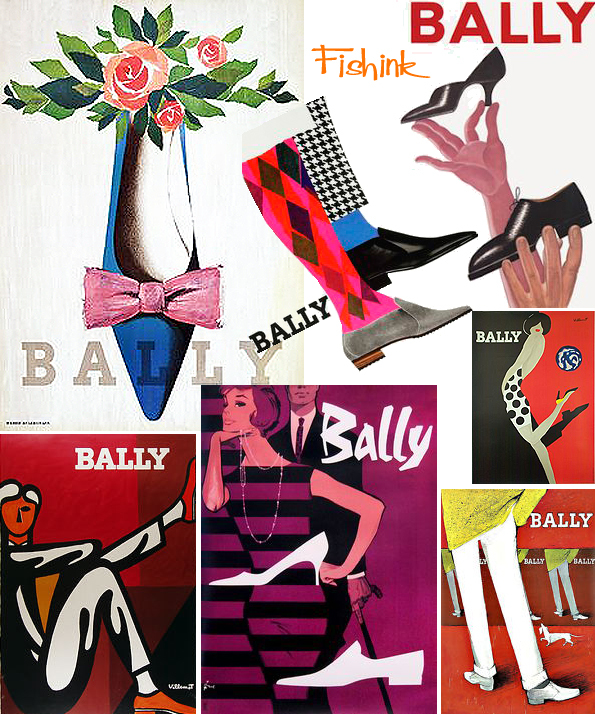 I came across some vintage posters for Bally shoes (amongst others) and thought I would share them with you. 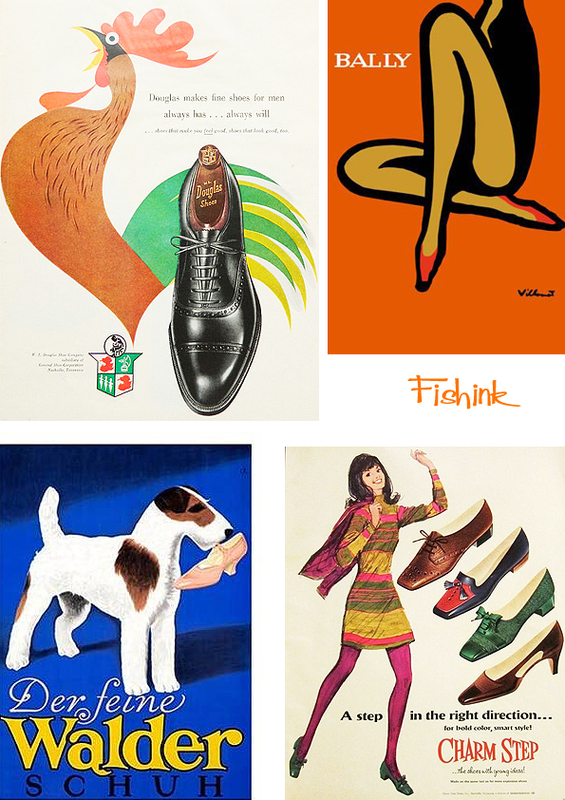 The reclining lady, that is really a shoe, is very clever. 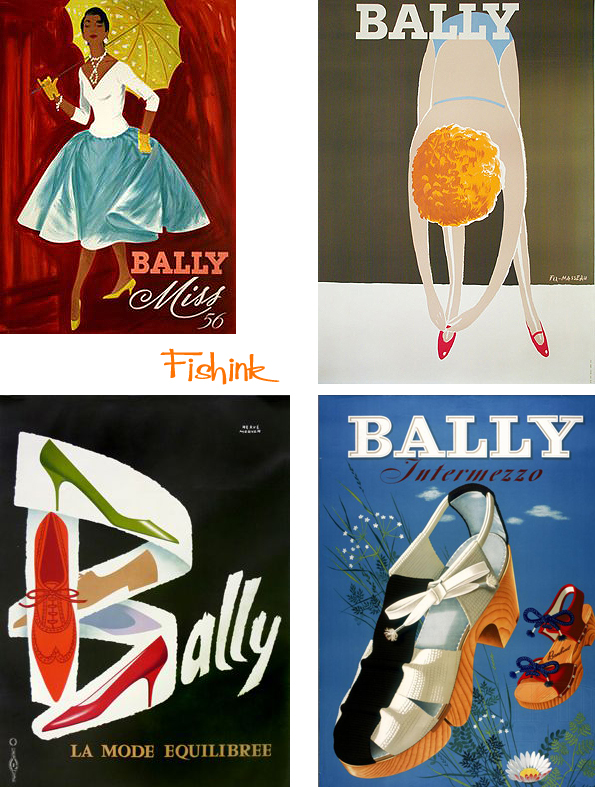 Bally Miss of ’56 looks very sophisticated. 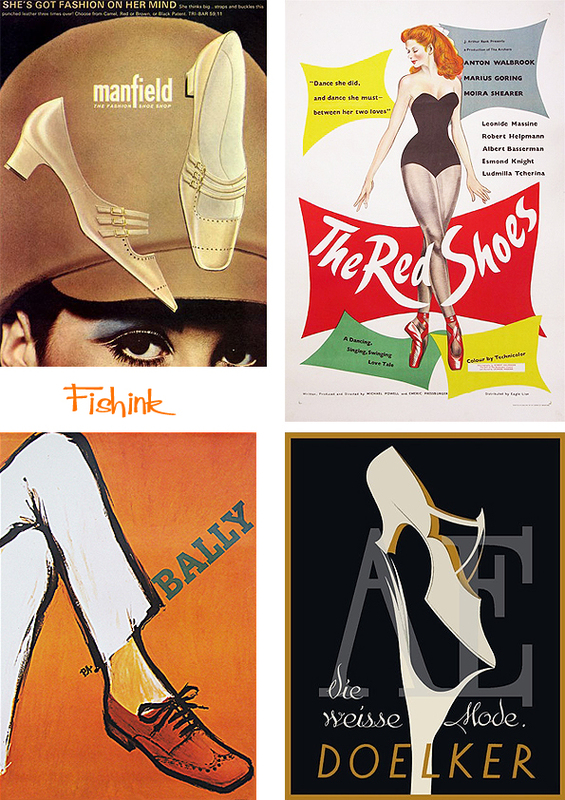 It’s great to see how their posters work so well over many different time periods. 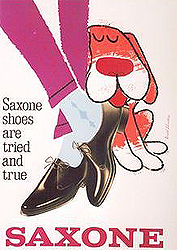 Of course Bally wasn’t the only company doing great things in their adverts. 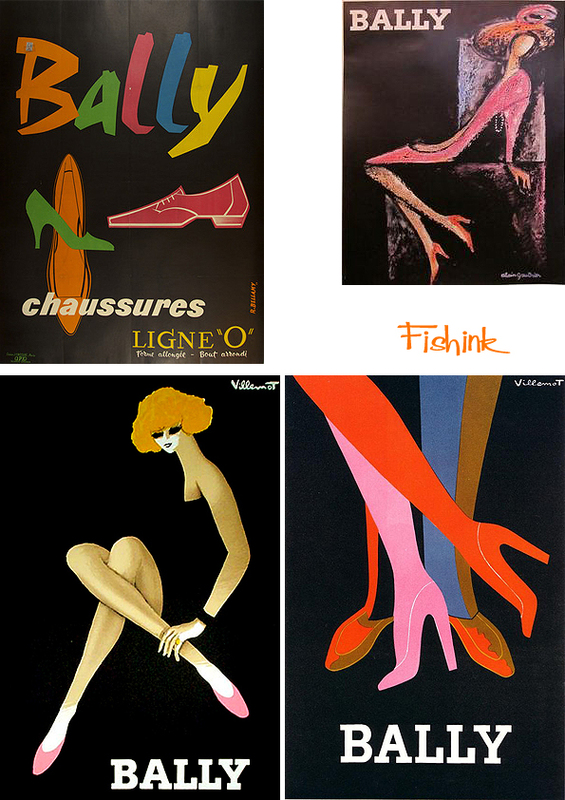 This leggy poster (top right) is very sixties and gets the stylish message across very simply and directly. 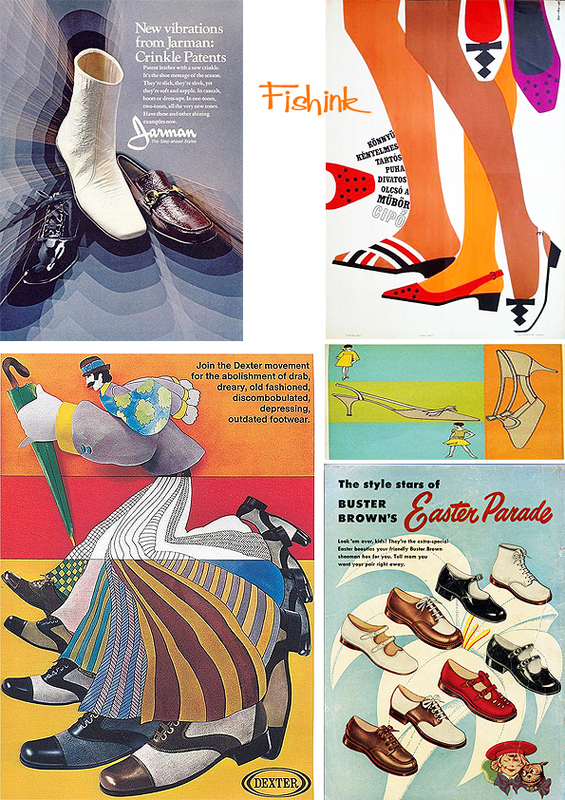 More fashionable additions from seventies beatle-mania , film posters and classic brogues. Something for the more active customer. Finally a little help from our animal friends. 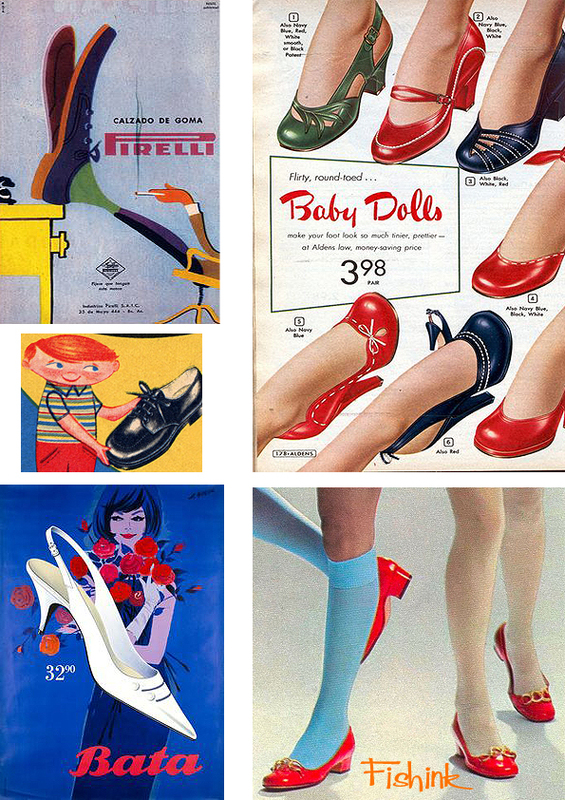 Do you recall the old feet measuring wooden devices with the plastic sliding scale in Clarks Shoe shops ? I remember wearing red shoes to school (my rebellious streak lol), and Grey Tukka boots and the original Kickers. Also getting a brand new pair of Green Flash training shoes and waiting for them to dirty a little before wearing them outside in public, because they just weren’t cool to wear so white ! 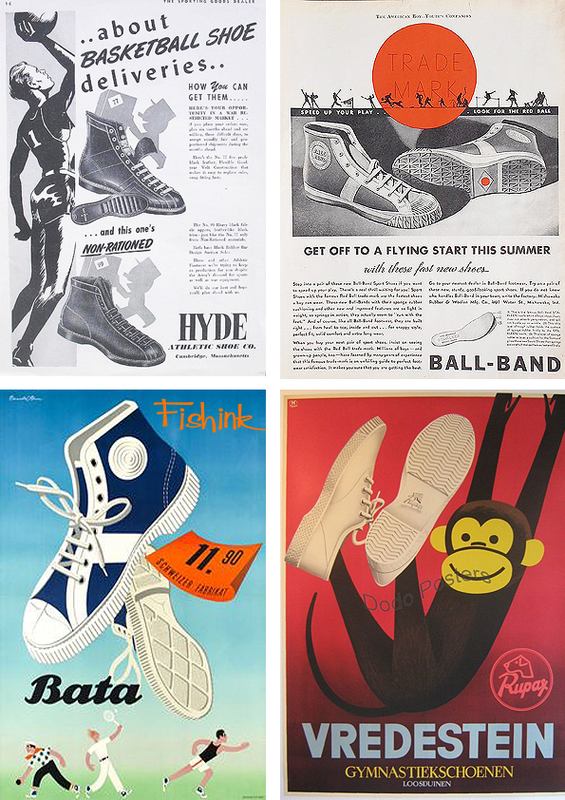 What early memories do you have of shoe shops and advertising ? The Red Shoes is one of my all time favorite movies!